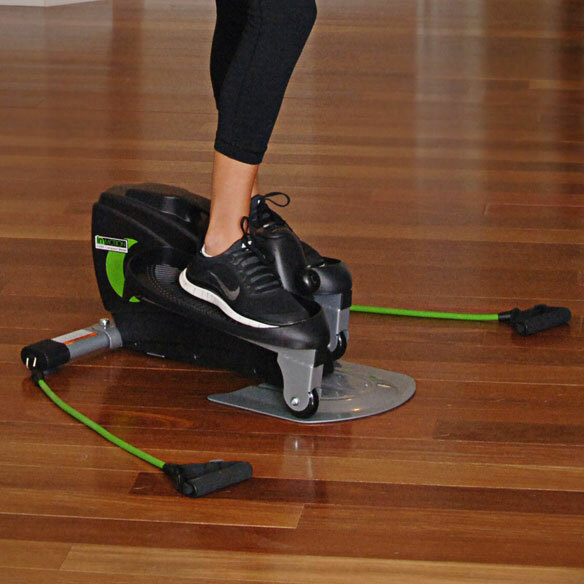 Lightweight and portable for use anywhere, the InMotion Strider with Cords offers a cardiovascular and full-body workout anytime. 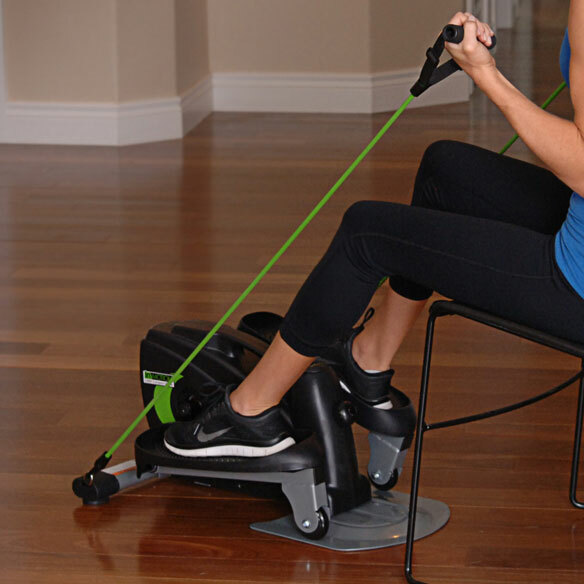 Built-in pedals help tone the legs and burn calories while at seated, and can be worked in a forward or reverse direction to target different muscle groups. A pair of detachable medium resistance tubes adds an upper body workout for strengthening arms, shoulders, and chest. Electronic fitness monitor displays number of strides per minute, total number of strides, exercise time and calories burned. Sturdy steel construction adjustable tension controls ensure safety. Includes workout DVD and owner’s manual. 24”L x 18”W x 12”H. ; weighs 24 lbs. 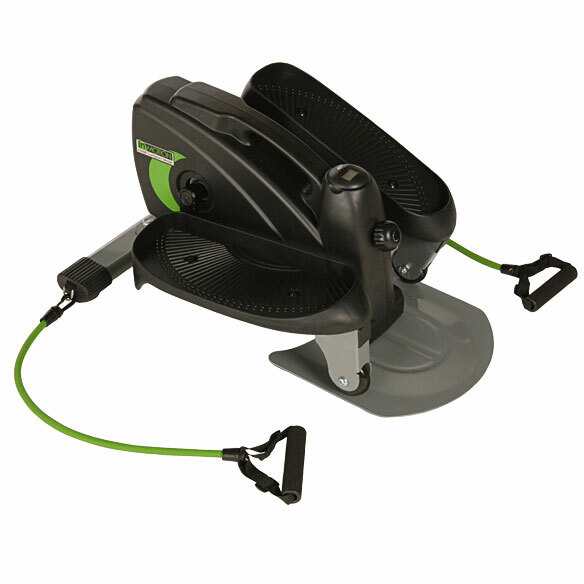 A true recumbent stepper like professional gyms have cost $3K plus - way out of my price range. I'm hoping this will work similarly for me and give me some much needed leg exercise. does this work on the carpet? BEST ANSWER: Thank you for your question. Do not use on loose rugs or uneven surfaces. We hope this information will be of help to you. BEST ANSWER: Thank you for your question. We accept returns for this item within our 45 day return policy. After the item has shipped, customers have 45 days to return items at their expense. We hope this information will be of help to you.